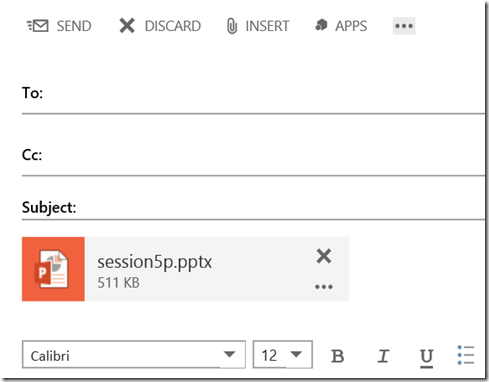 Office 365 now supports the ability to attach files directly from your OneDrive for Business via Outlook Web Access. To do this simply navigate to your Office 365 web portal and select Outlook from the top navigation bar. 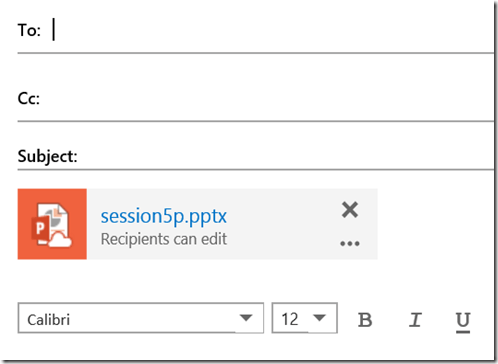 Compose a new email and select the Insert button at the top of the window. That will reveal the above menu. 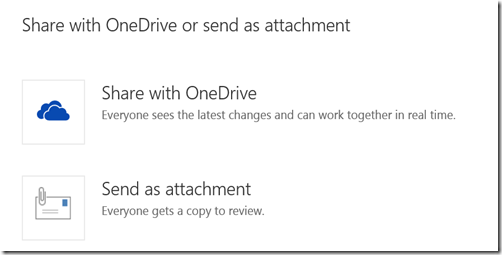 Select Attachments or OneDrive for files. You’ll then be taken to a screen like the above where you can select from a number of different sources. Under the OneDrive option for example select My Files. You should then see all the files you have in OneDrive for Business displayed. 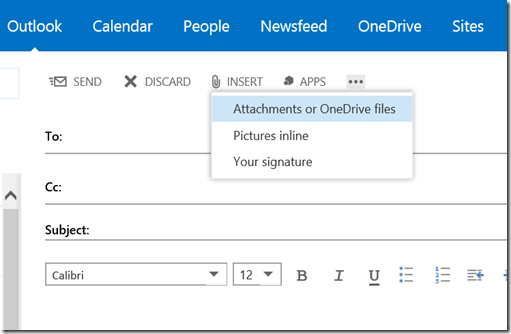 Select the file you wish to attach and then the Next option in the top left (above the OneDrive icon). You are then prompted as to whether you wish to send this file as an attachment (i.e. the whole file is added to the email) or you just want to send a link to the file. In essence this ‘shares’ that file from your OneDrive for Business rather than sending the whole file. That allows you to potentially revoke that sharing at any stage in the future. If you elect to attach the file you will see the attachment displayed as above with the actual file size displayed. If instead you elected to Share with OneDrive you will see the attachment but also the text Recipients can edit. When the recipient receives the file, if it was sent as an attachment they can view it as they normally could. 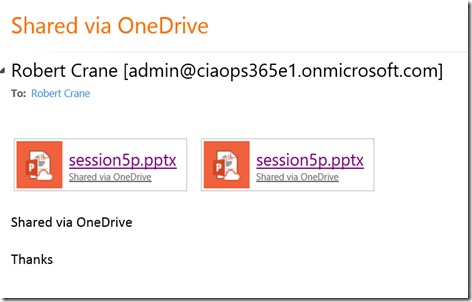 However, if you elected to Share with OneDrive they will be taken to a link to view the file. 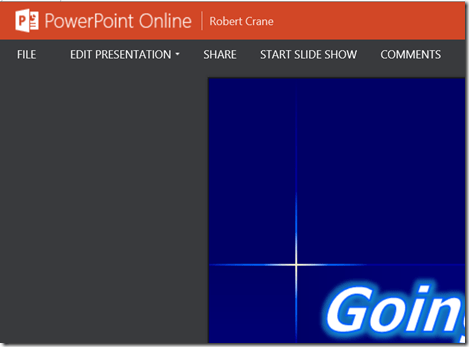 If the shared file is an Office document they will see that document in Office Online as shown above. This feature is something that has been missing from Office 365 for a while now and makes more sense as more people move all their information to the cloud. What would be nice now is some similar integration with Outlook on the desktop. Having the ability to attach or share from Outlook on a standard PC desktop would really accelerate cloud adoption in my option. This feature is currently rolling out to all tenants. If you don’t have it yet you will soon.